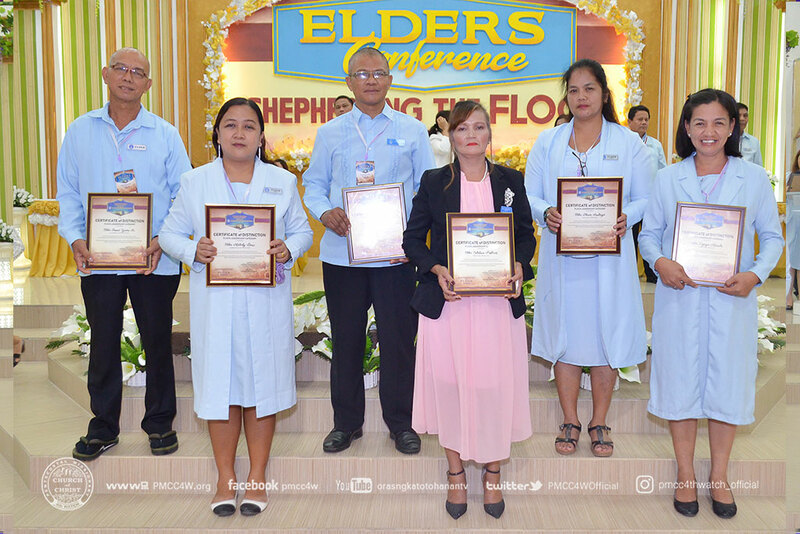 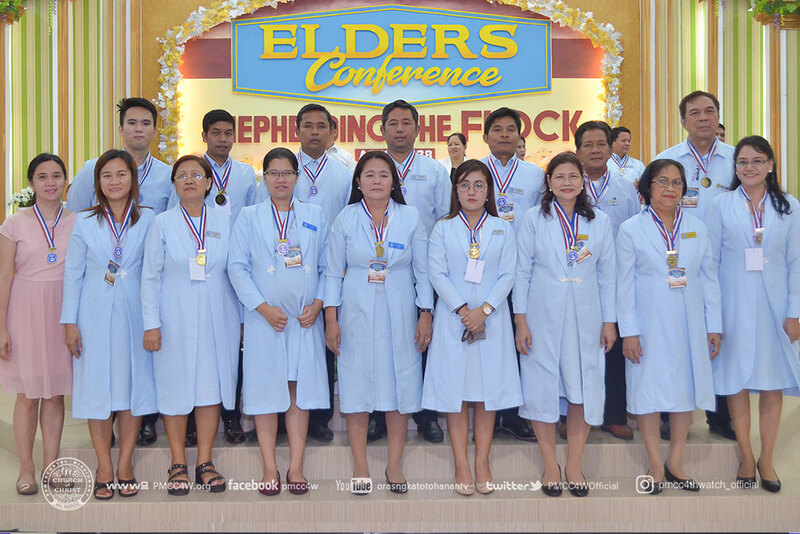 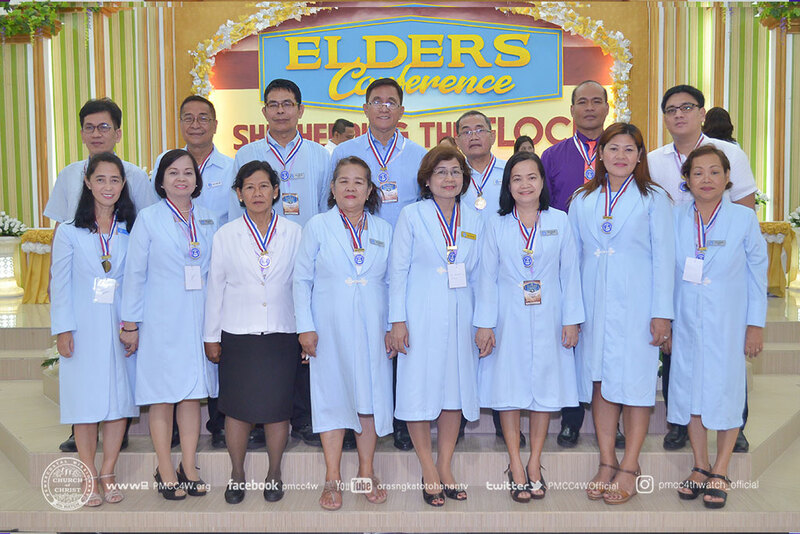 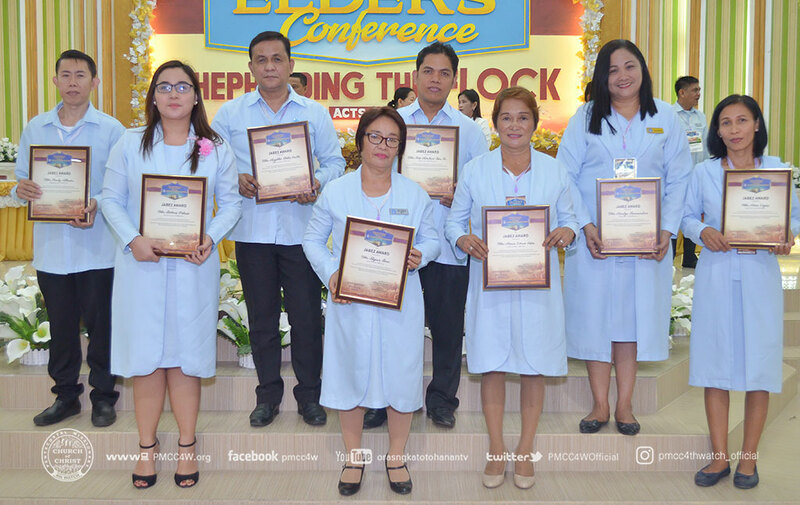 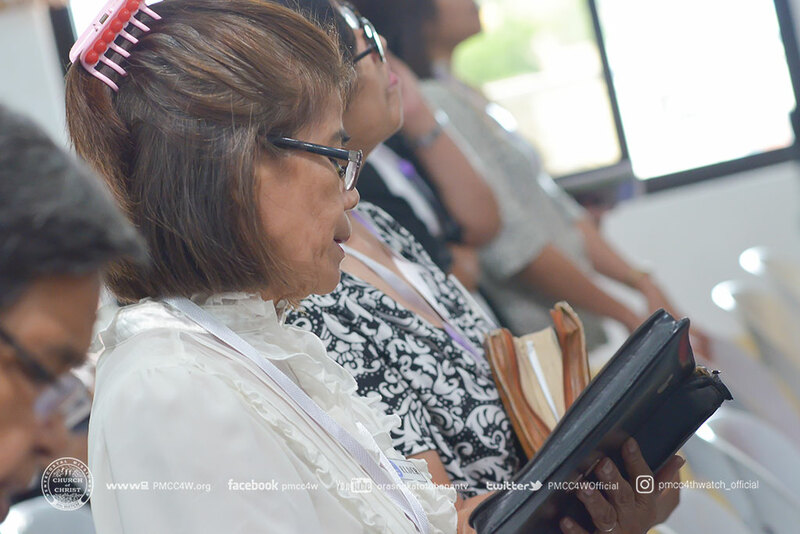 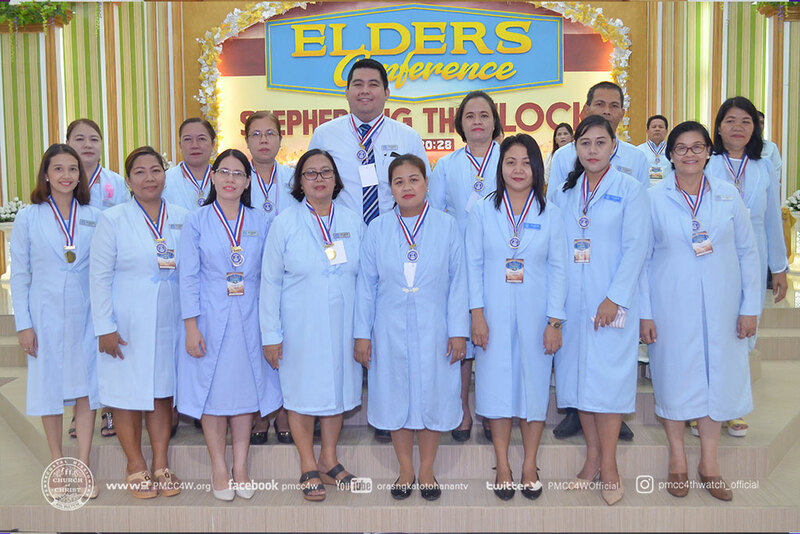 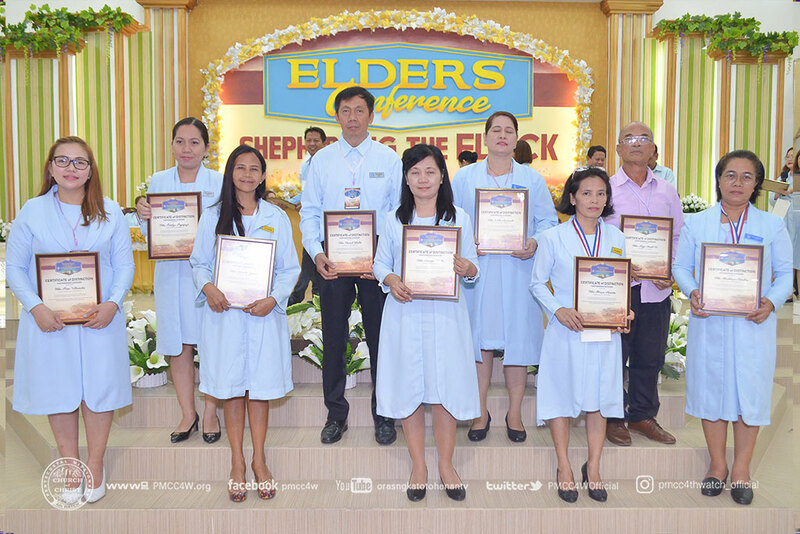 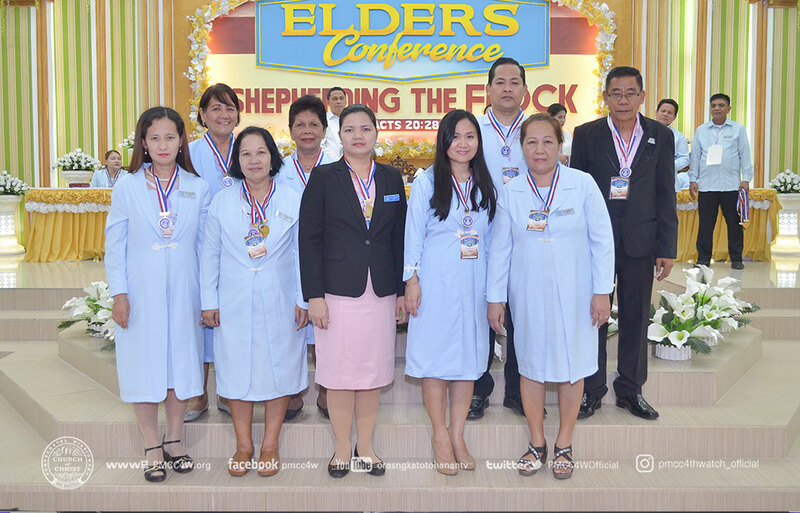 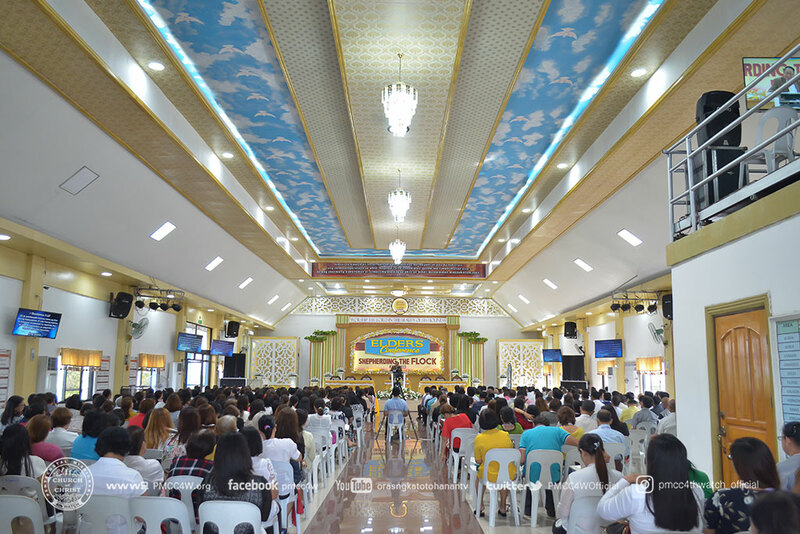 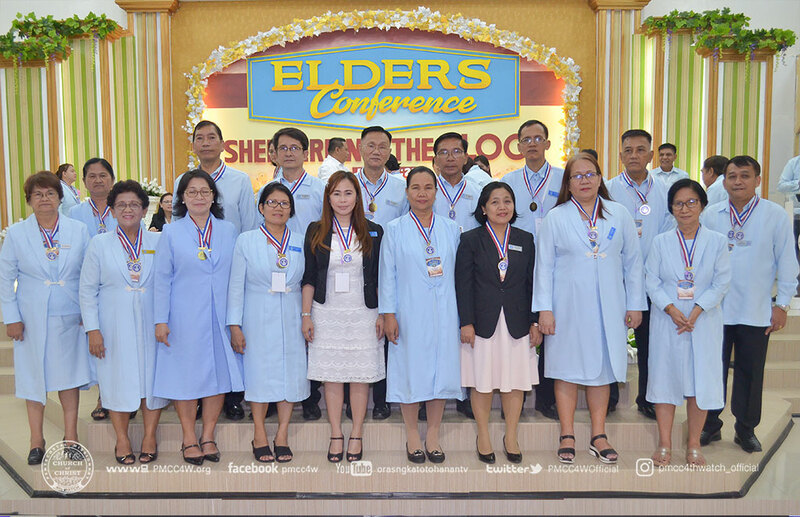 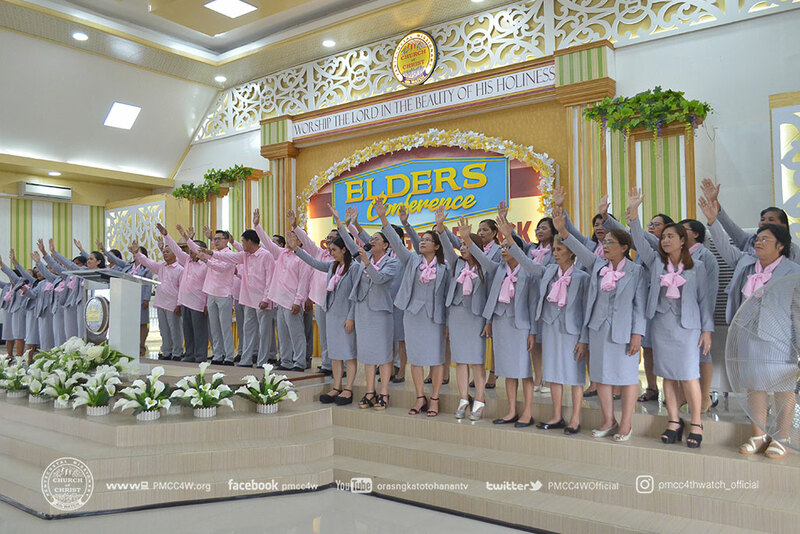 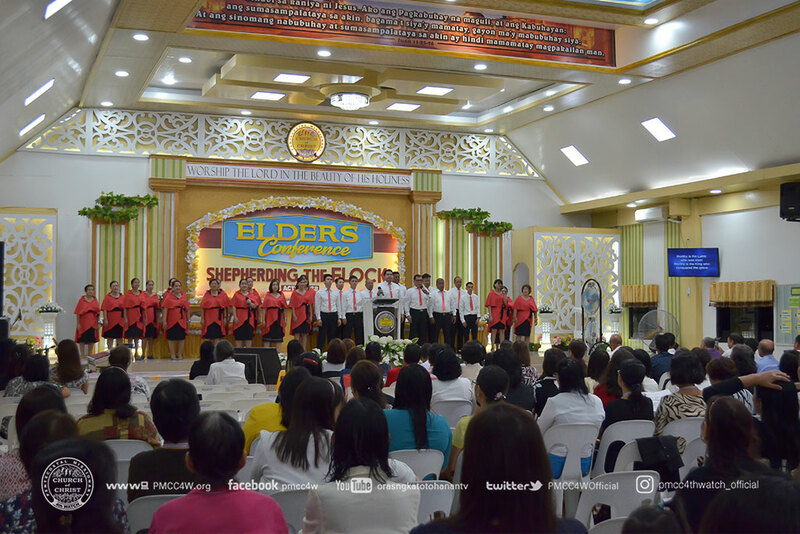 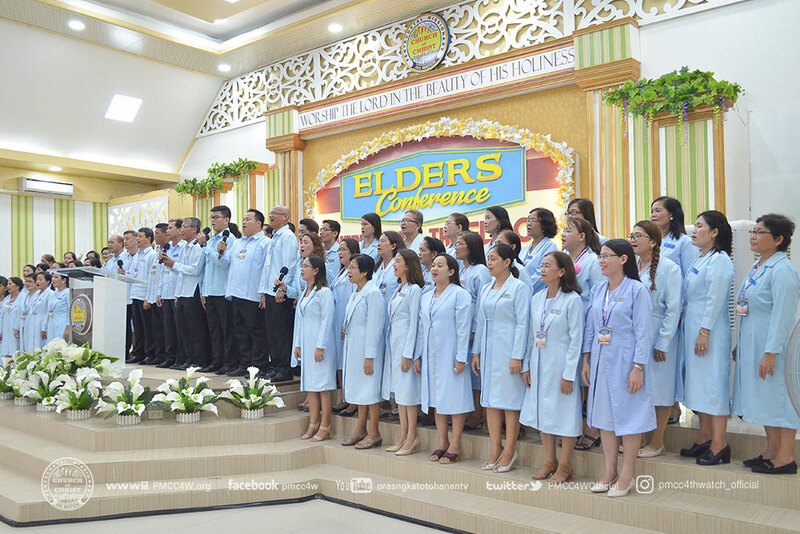 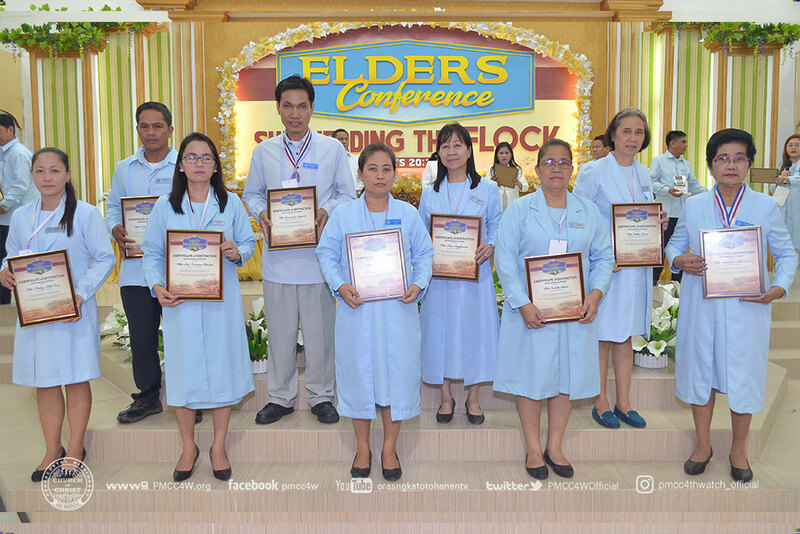 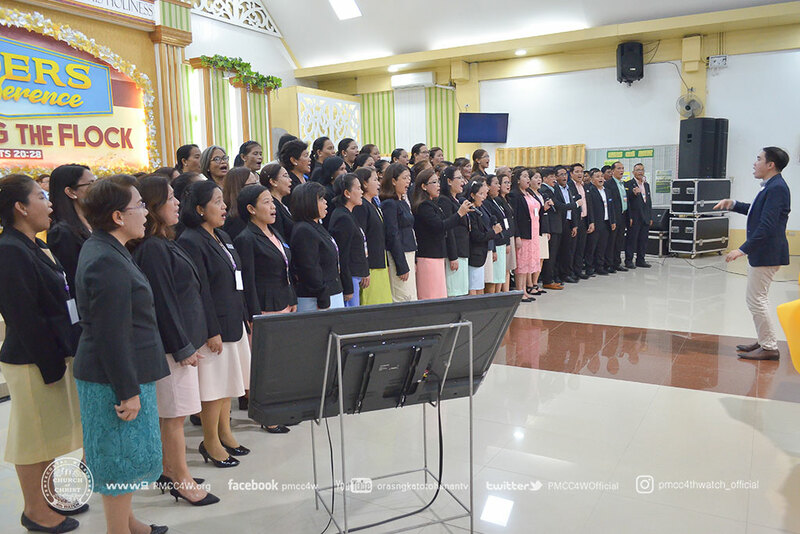 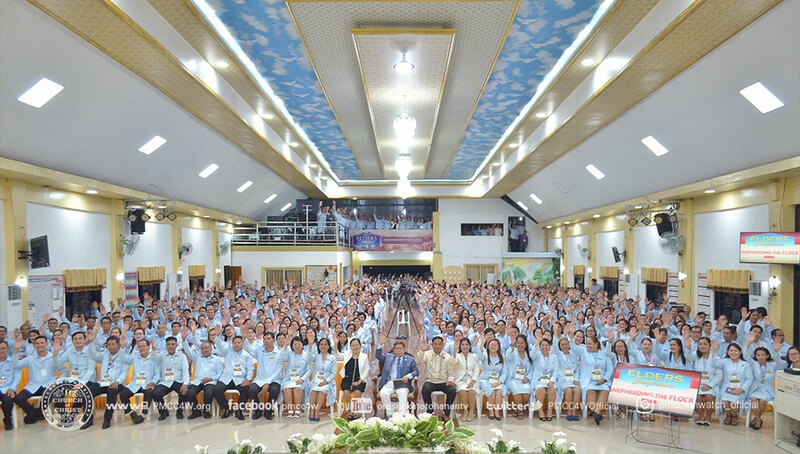 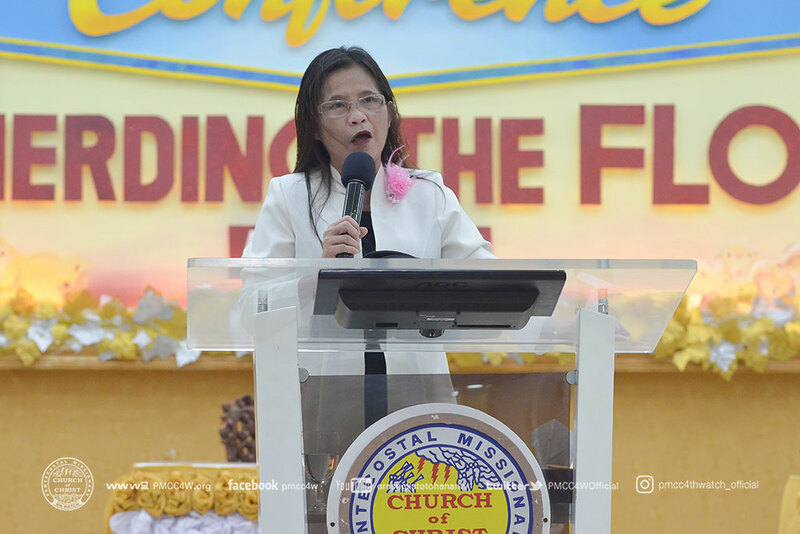 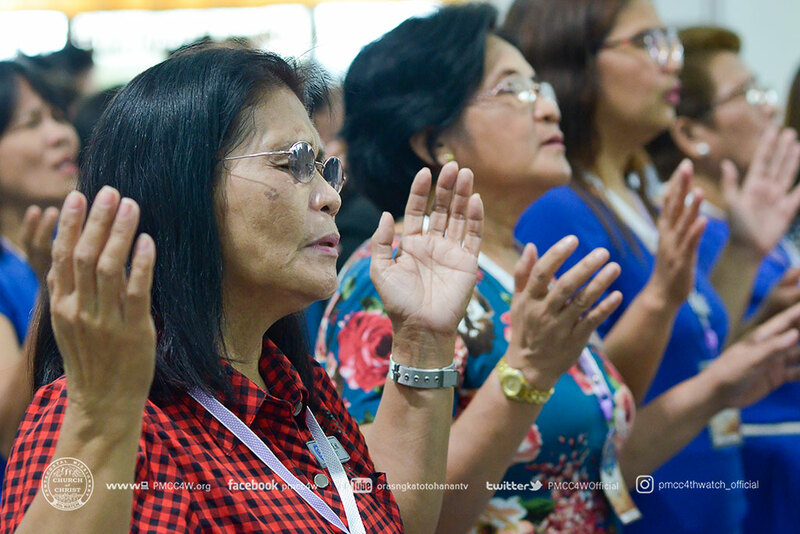 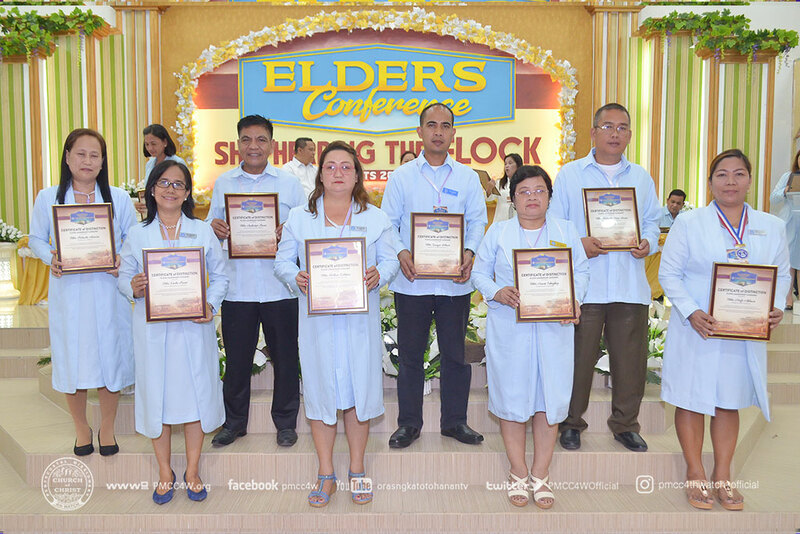 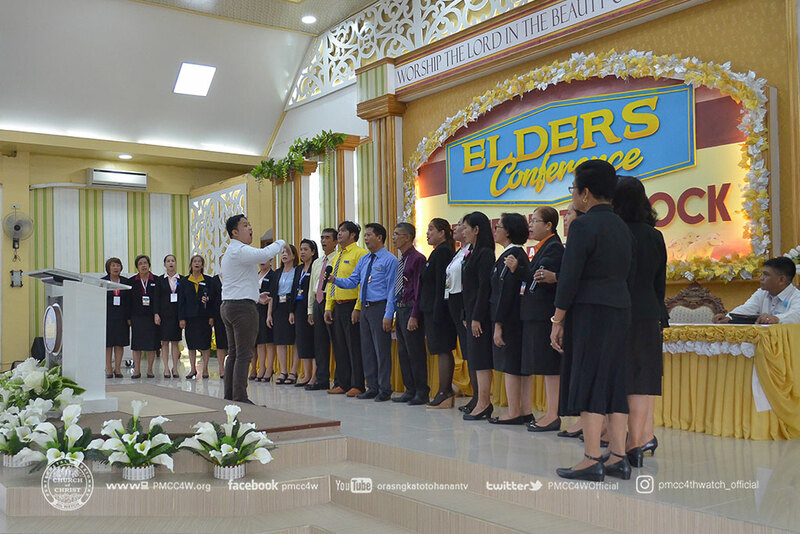 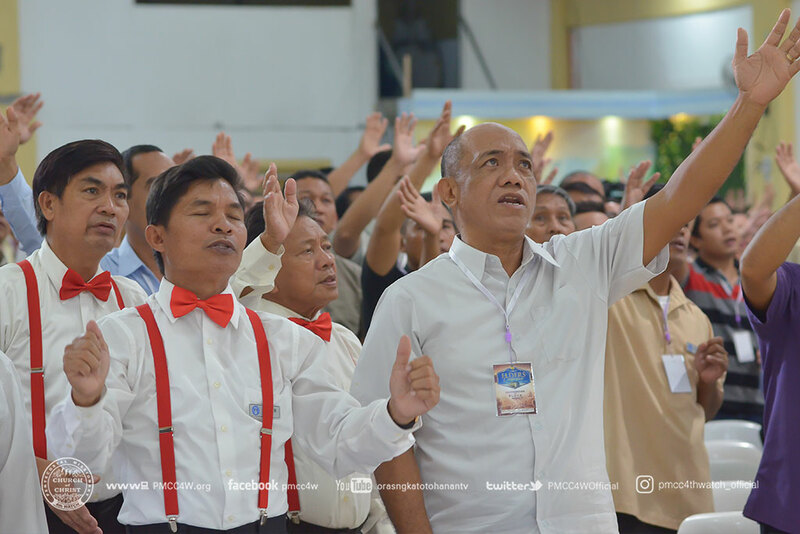 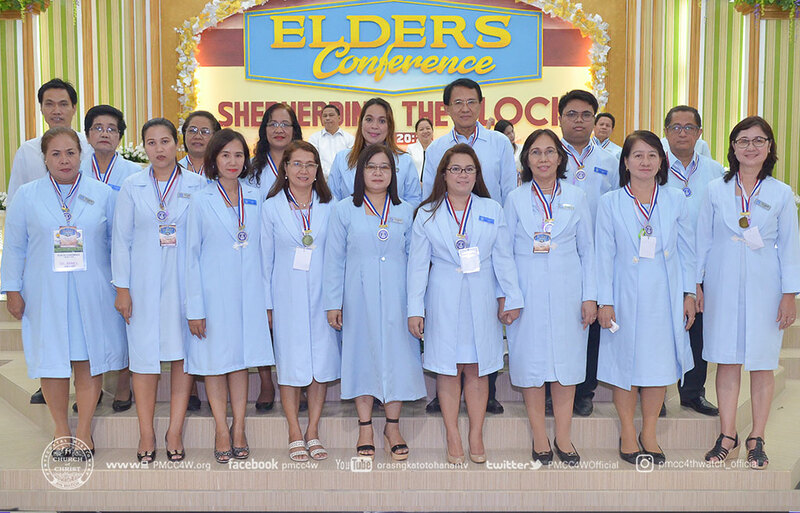 Hundreds of deacons and deaconesses flocked the service hall of Pentecostal Missionary Church of Christ (4th Watch) – Blue Isle, Tanauan locale church last July 25 to 27, 2018. 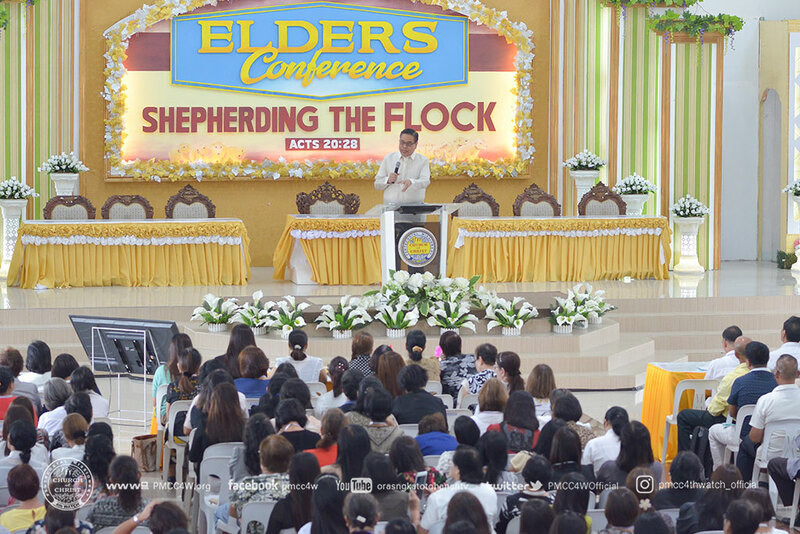 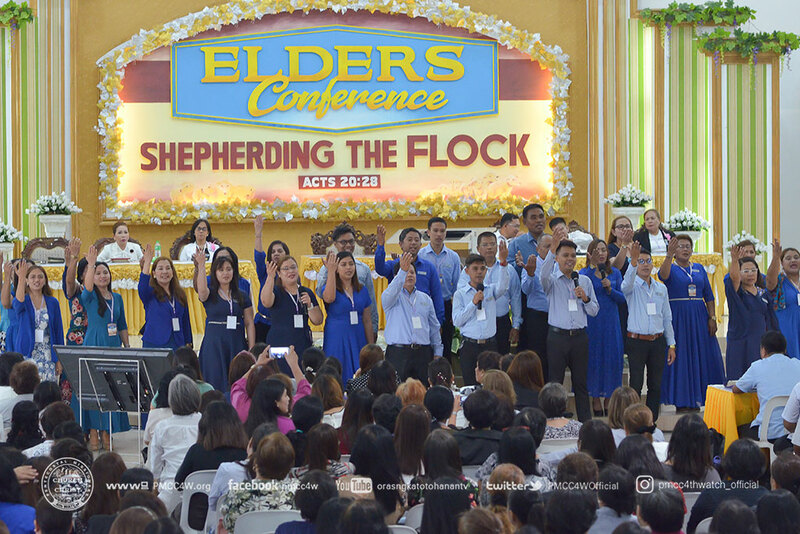 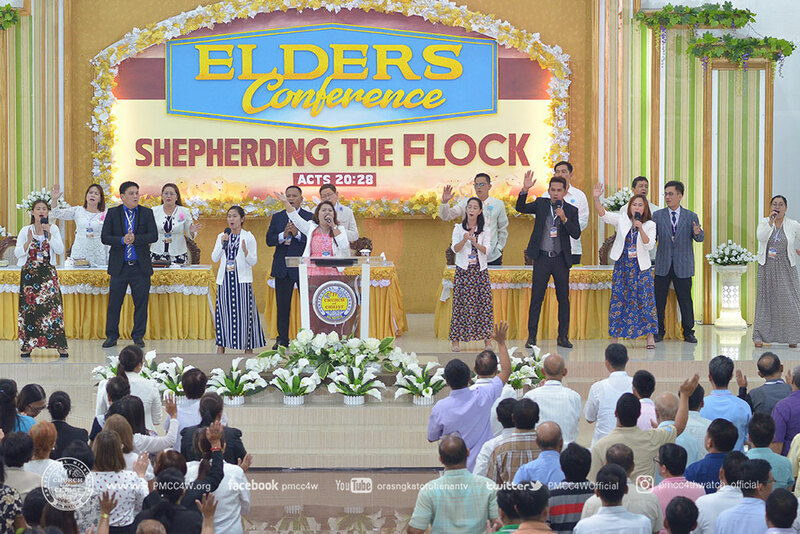 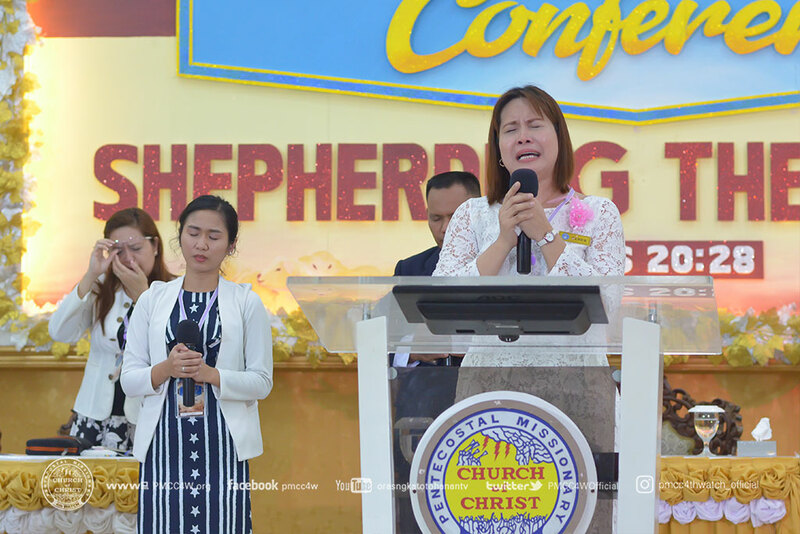 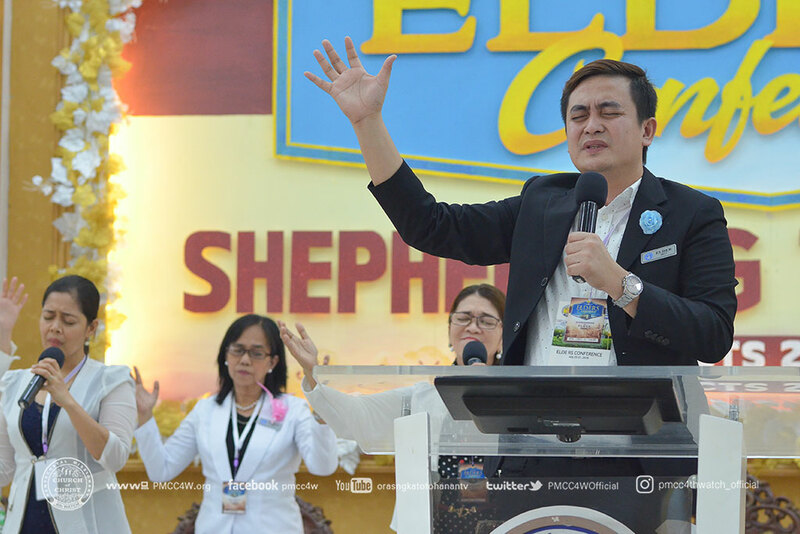 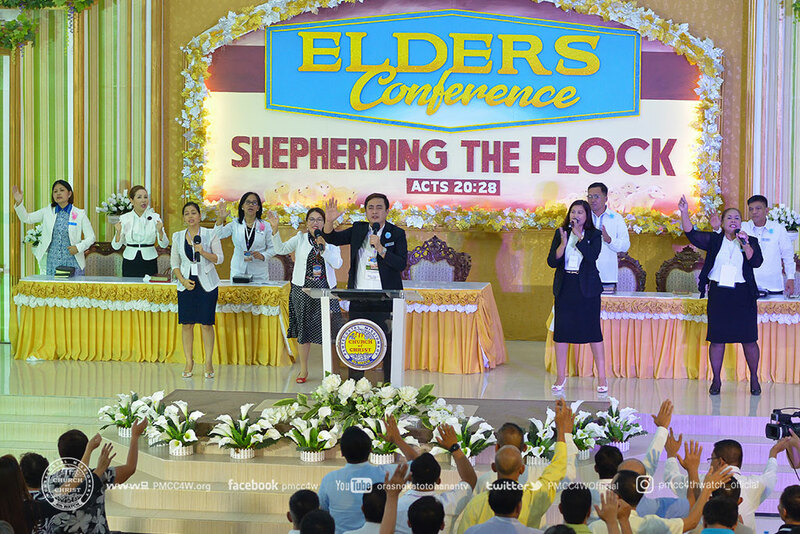 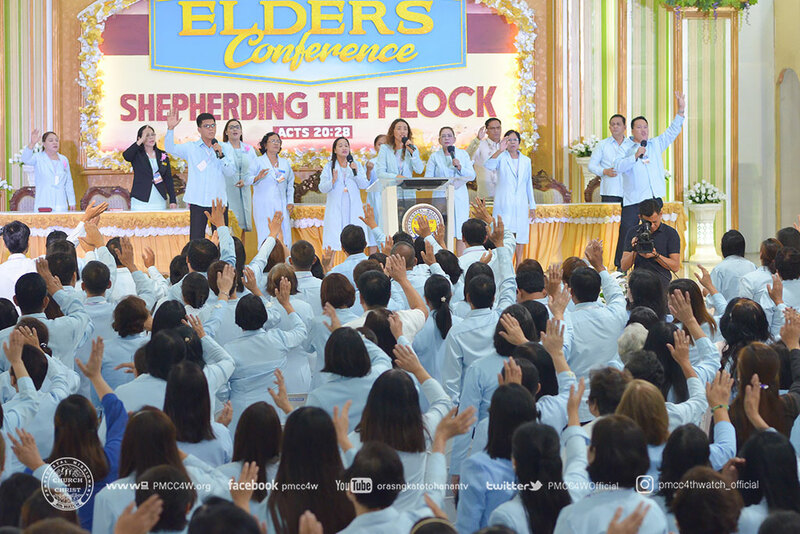 Echoes of rejoicing and adoration filled the place as the elders of the church participated in this annual gathering bearing with the theme “Shepherding the flock” taken from Acts 20:28. 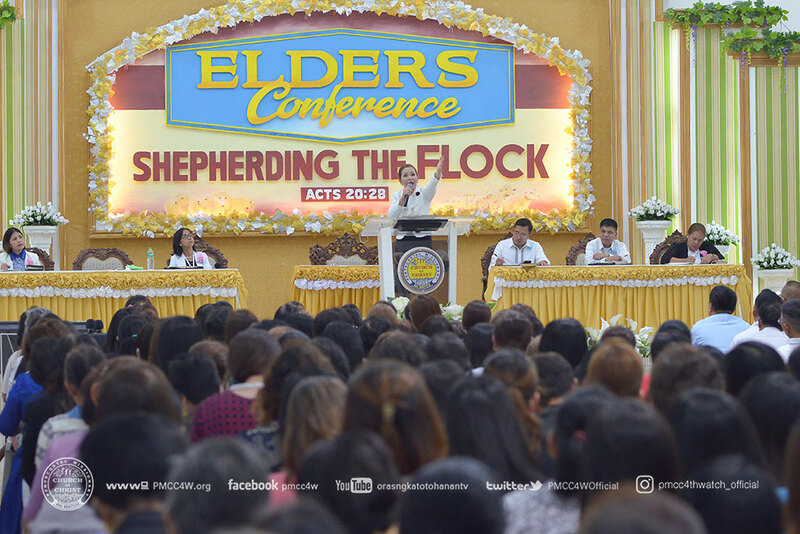 This three day event was attended by the elders all over the country. 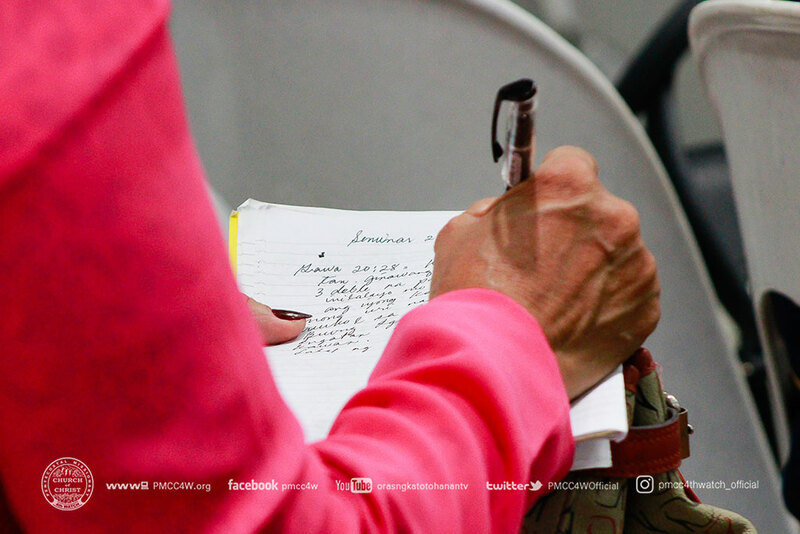 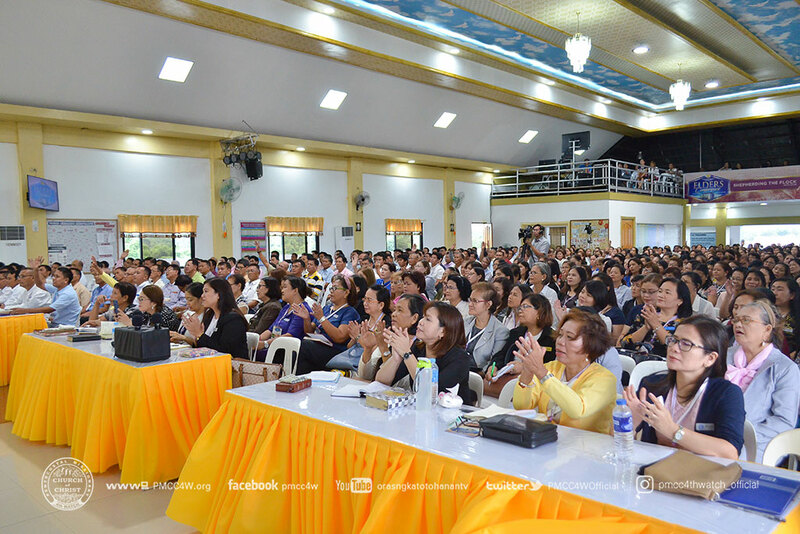 During the conference, the attendees ignited in morning devotion and different seminars. 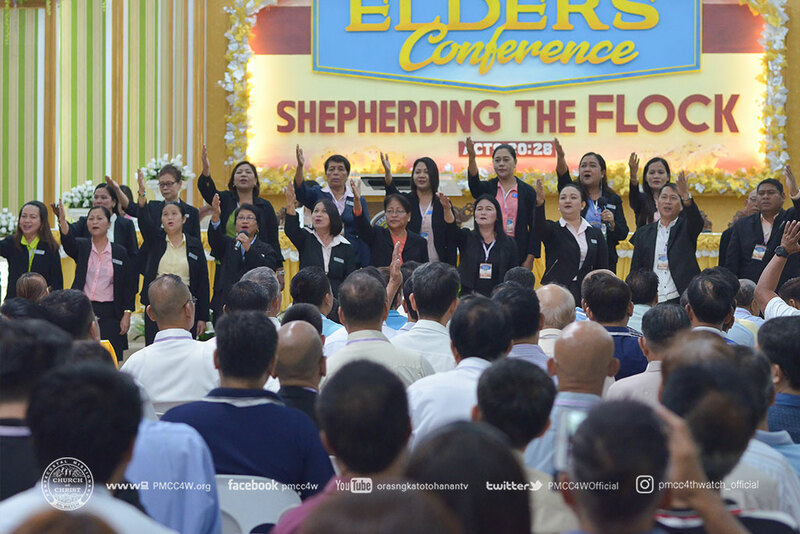 Even though, the stormy weather was felt, the spirit of the elders did not hinder praising and worshiping the name of the Lord. 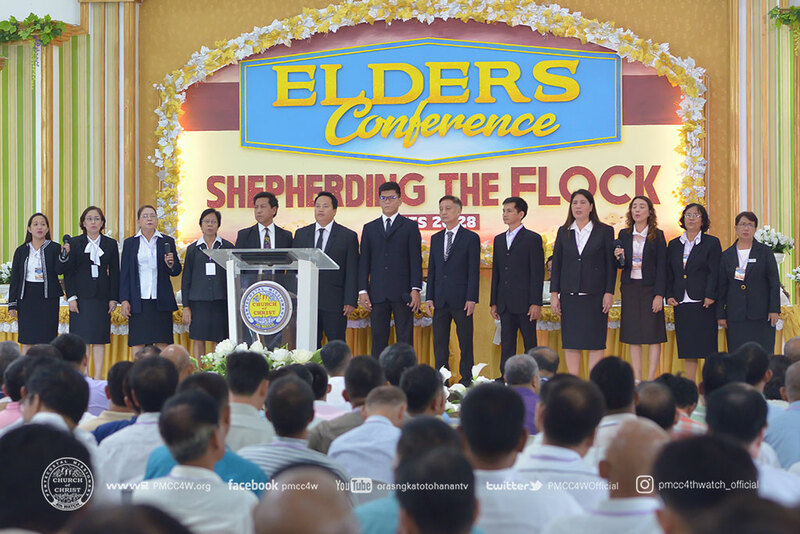 Apostle Arsenio Tan Ferriol, Bishop Arturo Ferriol, Bishop Domingo Ferriol, Bishop Osinando Quillao, Bishop Resting Zonio, Presbyter Jun Marbida, Presbyter Dante Abainza, Presbyter Jim Bigalbal and Sis Arlet Joy Ferriol-Guerrero and even the senior ministers delivered unadulterated words of God as well as instructions during their speakership. 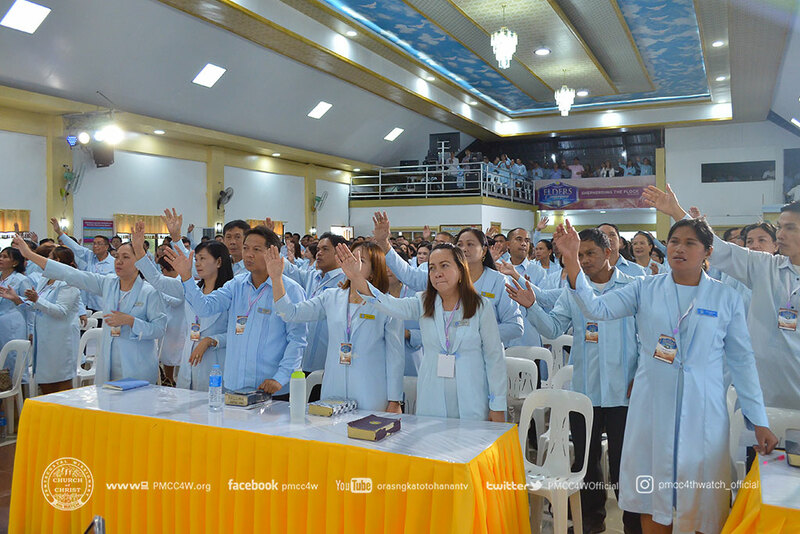 Even in the early hours of the morning, which started the first day of the conference, it was evident that the brethren were encouraged in the rightful way of praying. 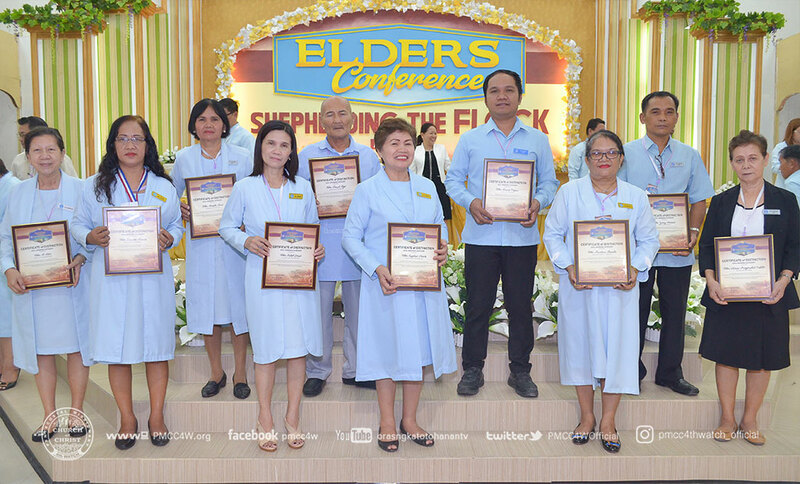 In afternoon time, seminars and symposium were held and the speakers also tackled the right manner and conduct of an elder. 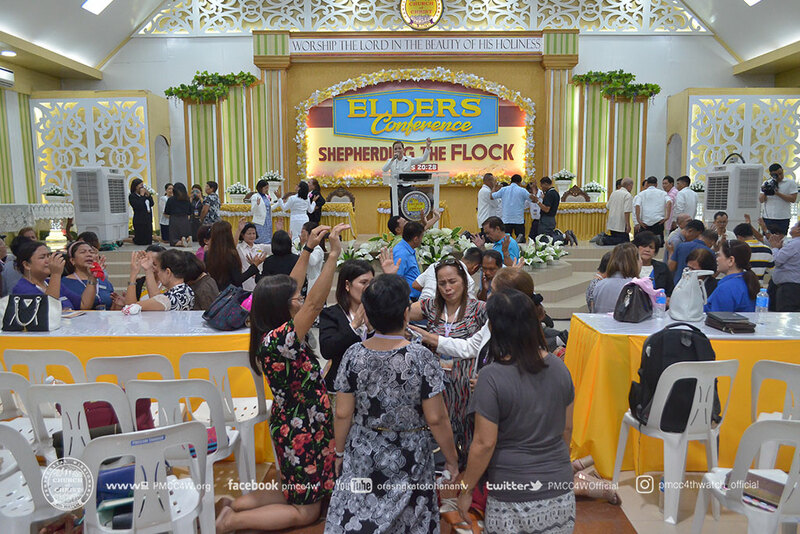 Thereafter, worship service immediately started. 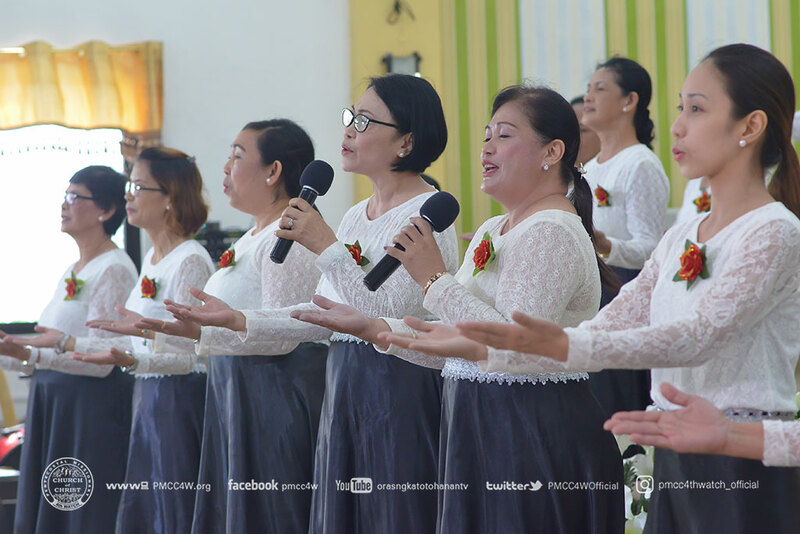 Meanwhile, Cabuyao locale, Shiloh Area and Zion Area prepared different songs of praise that truly moved the congregation to worship God. 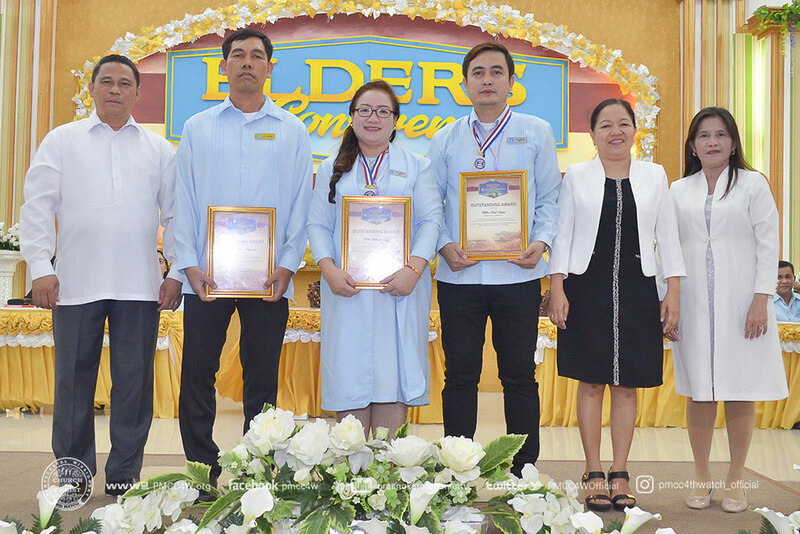 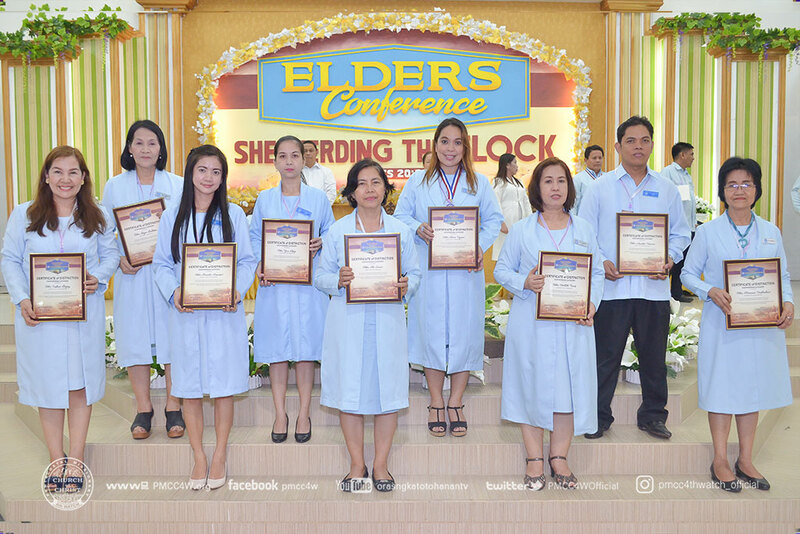 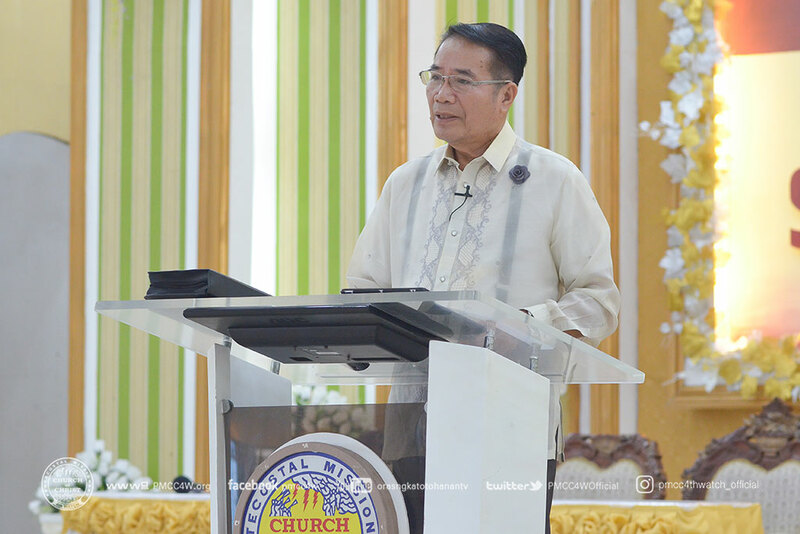 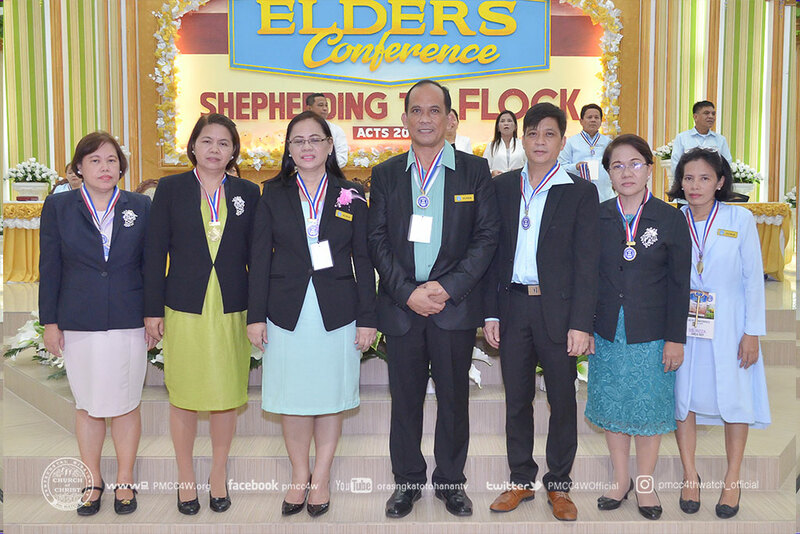 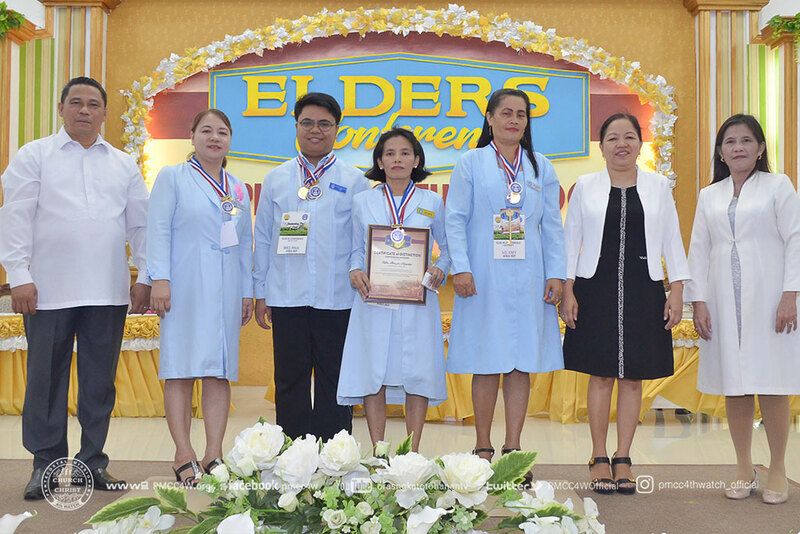 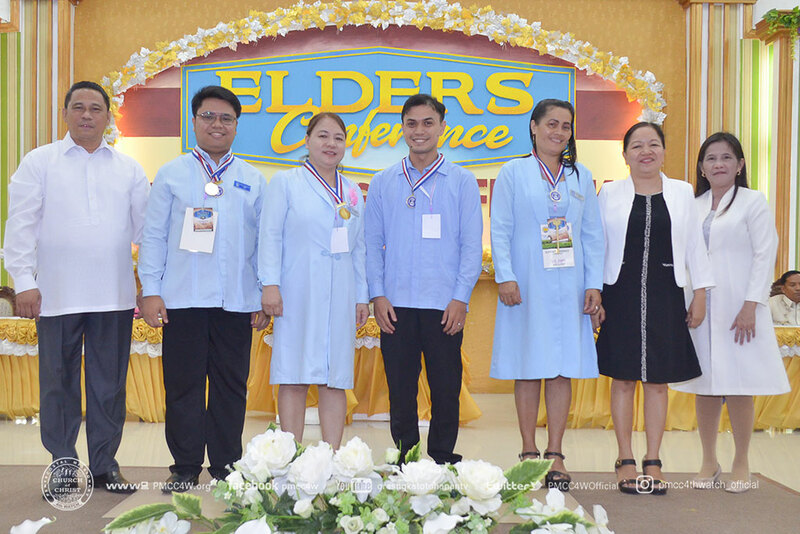 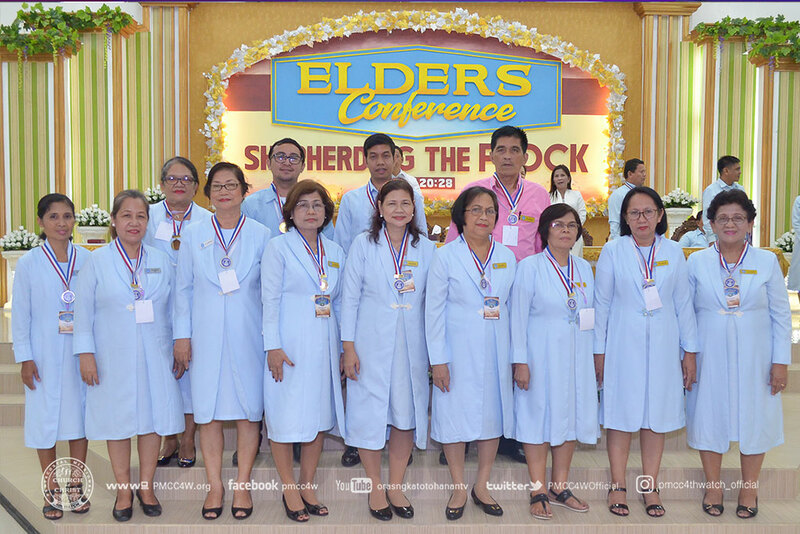 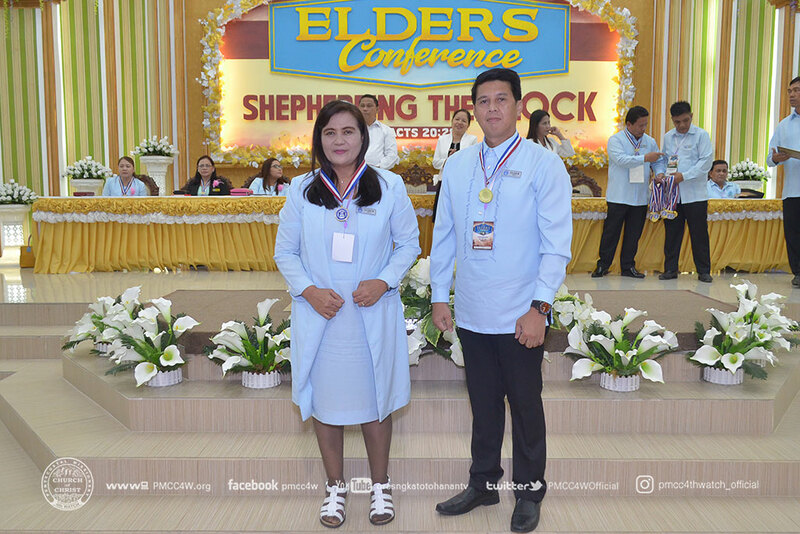 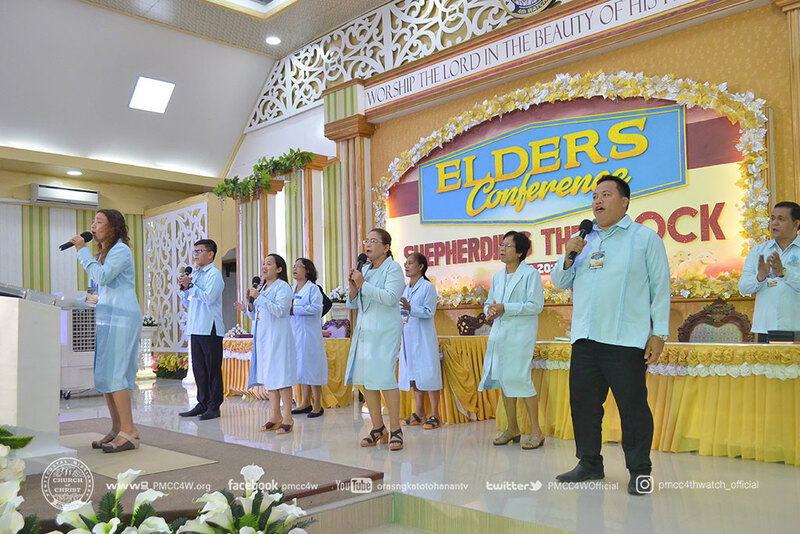 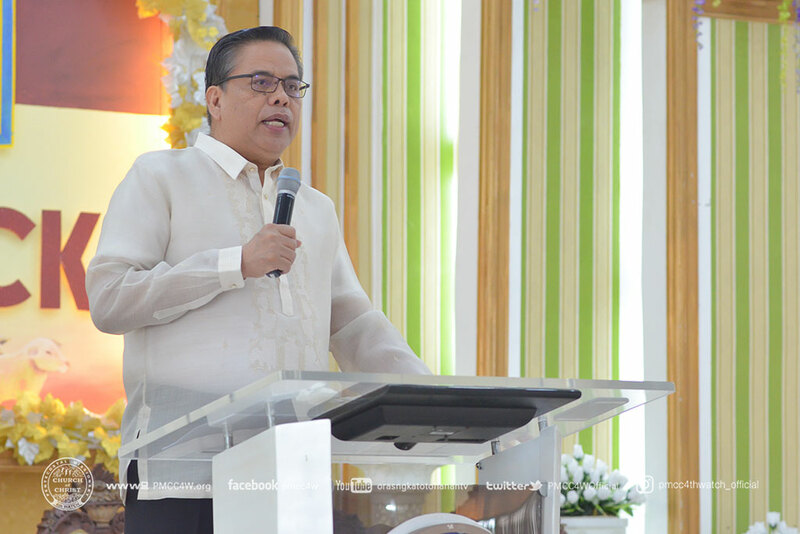 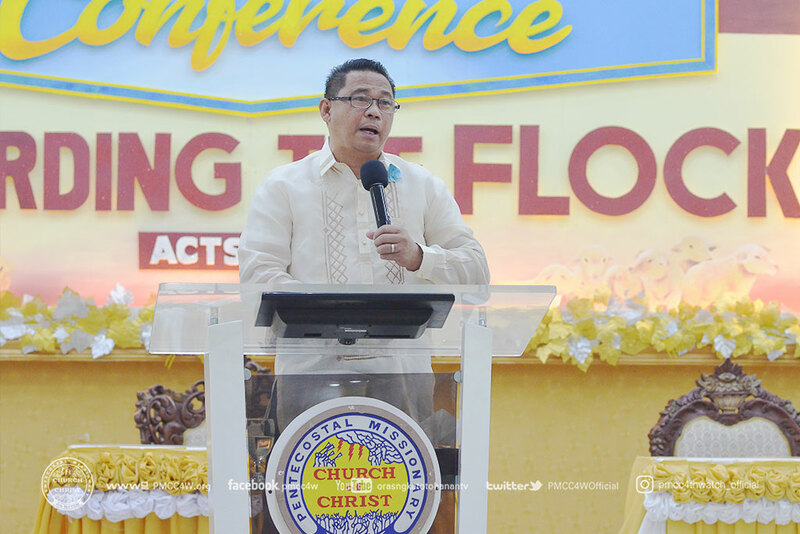 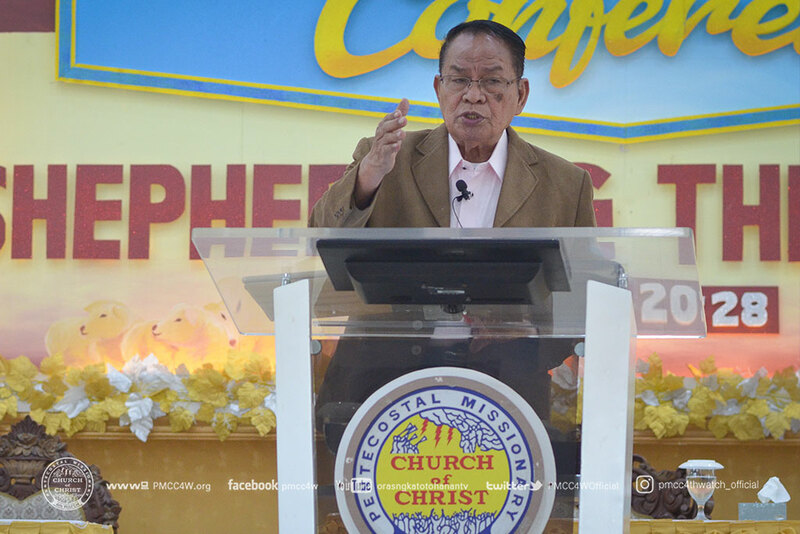 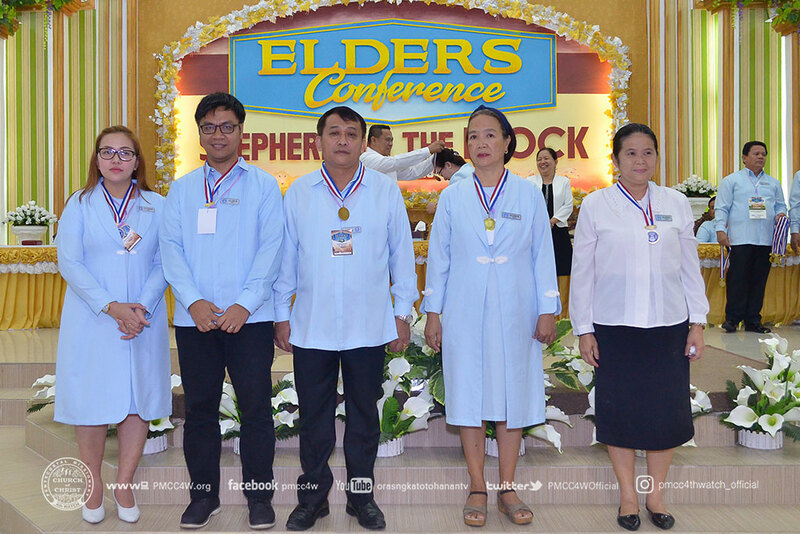 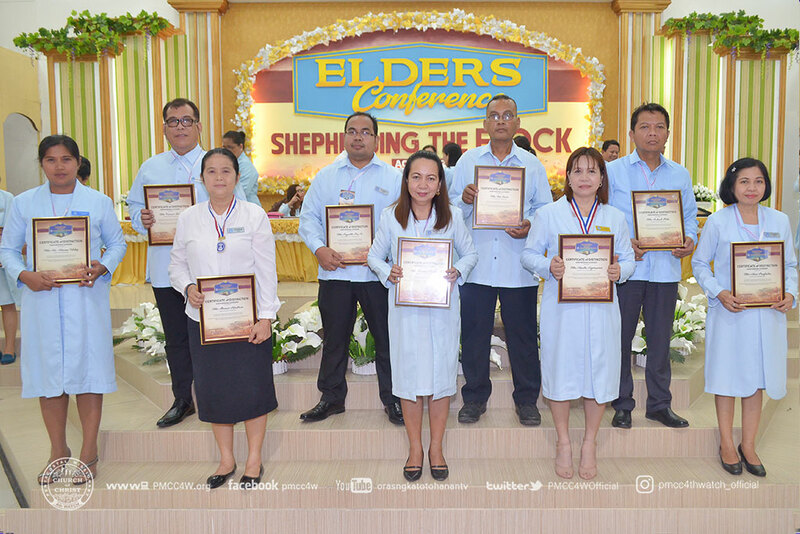 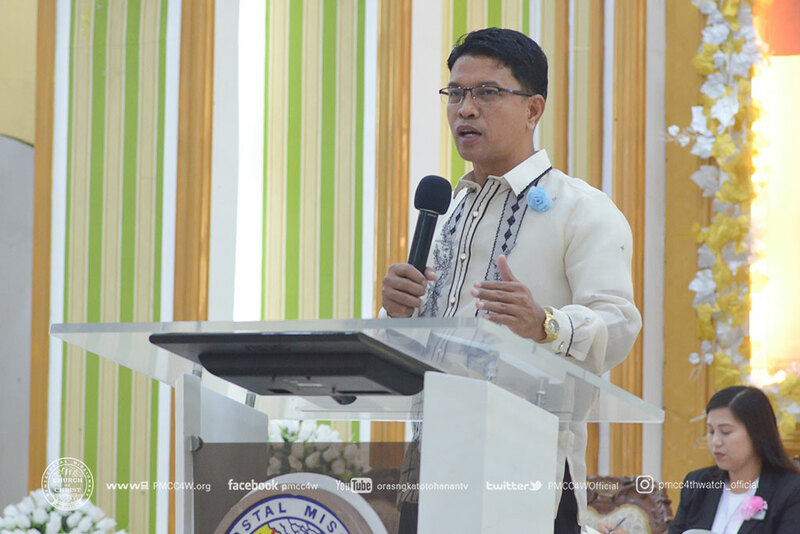 Moreover, the message of God delivered by the Goodman of the house, Apostle Arsenio Tan Ferriol, expounded that the elders of the church should be co-workers of Christ and work hand in hand in the End-Time mission. 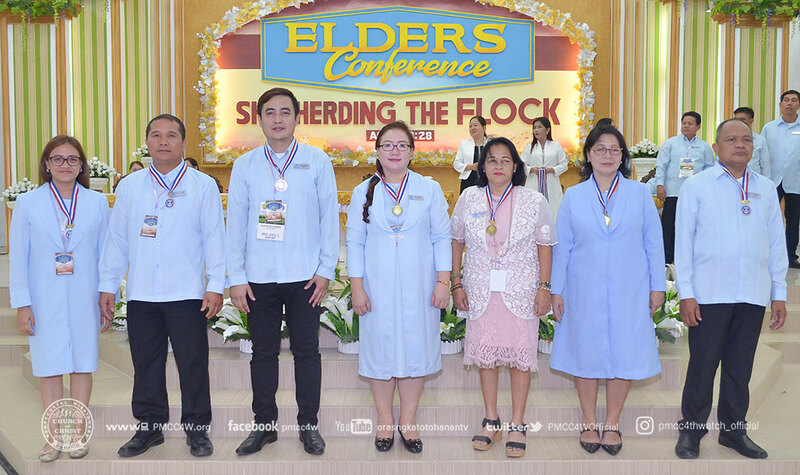 The 2nd day came and elders still passionate in serving God through deep prayers and spiritual union for the Church. 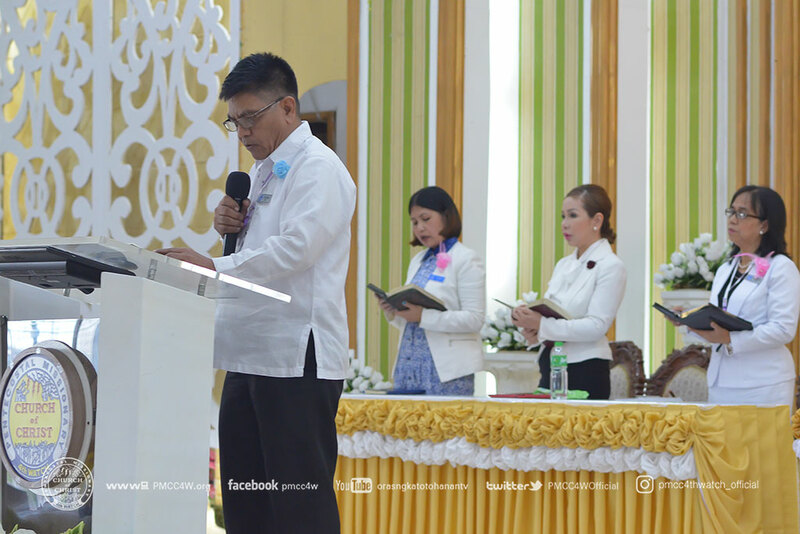 Presbyter Dante Abainza, served as the speaker in the morning devotion. 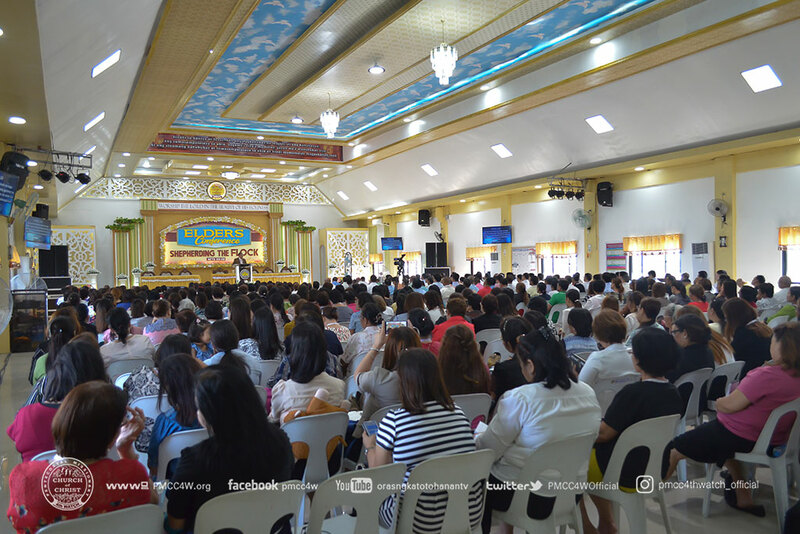 After a short break, the delegates filled the service hall with anticipation to hear the word of God during the 1st seminar where the Goodman of the House, Apostle Arsenio T. Ferriol led the service. 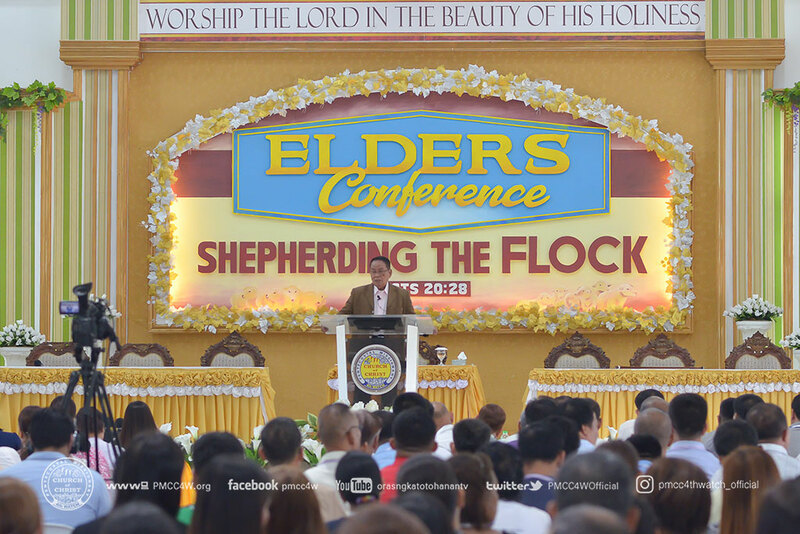 The 2nd and 3rd seminar followed, Bishop Osinando Quillao, one of the church overseers, delivered the word of God with conviction. 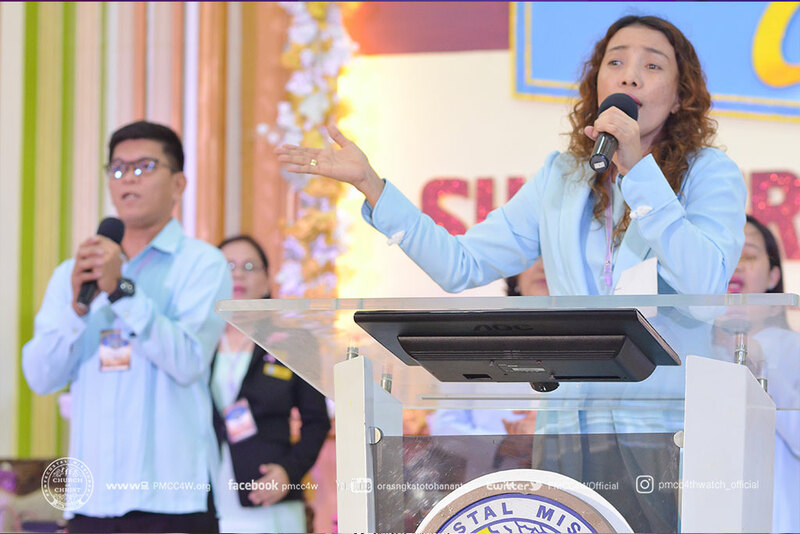 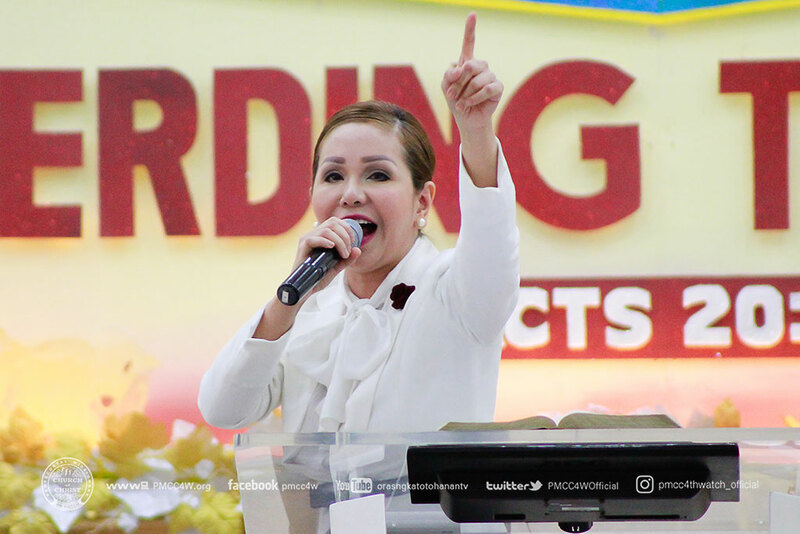 At the Worship Service, Sis Arlet Joy Ferriol- Guerrero, wonderfully delivered the message of God with the topic, “Dynamic Shepherding the Flock”. 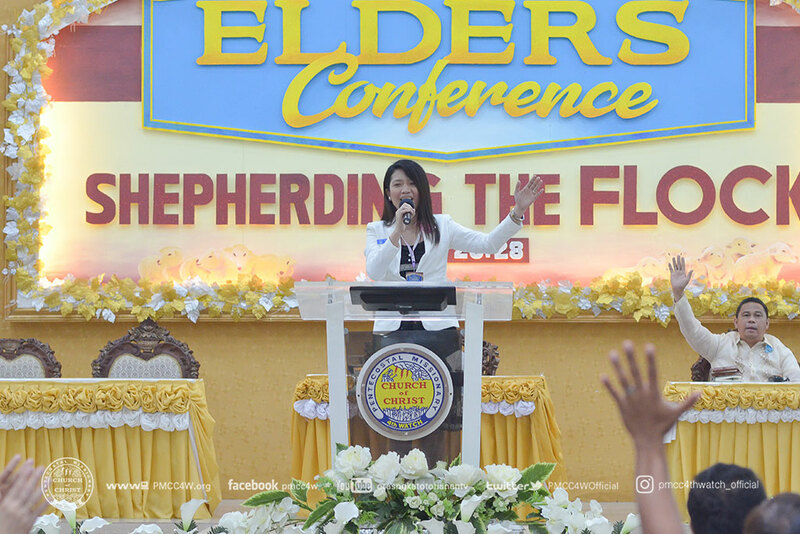 Anointed leaders create leaders and Jesus created transformational leader that ever live not just in faith but historically, she said. 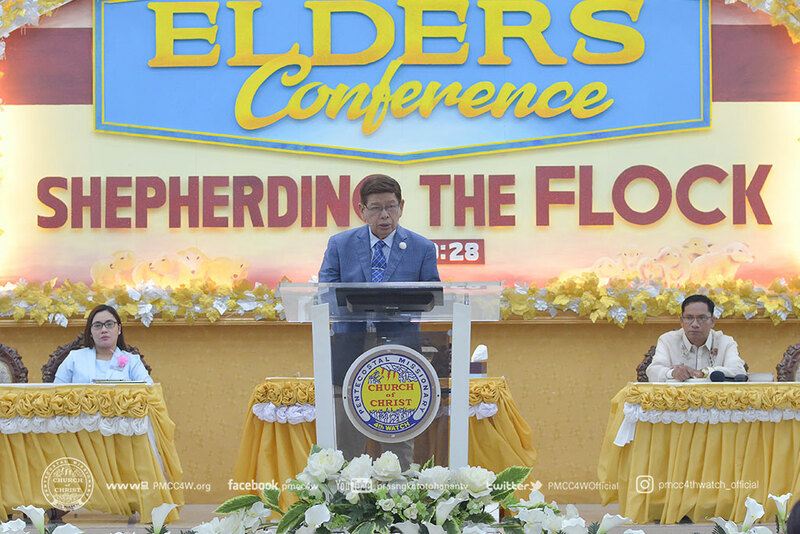 The speaker calls out the delegates to have prayer partners and reminded each elder that God is righteous and He will never forget the good things that elders done in the church. 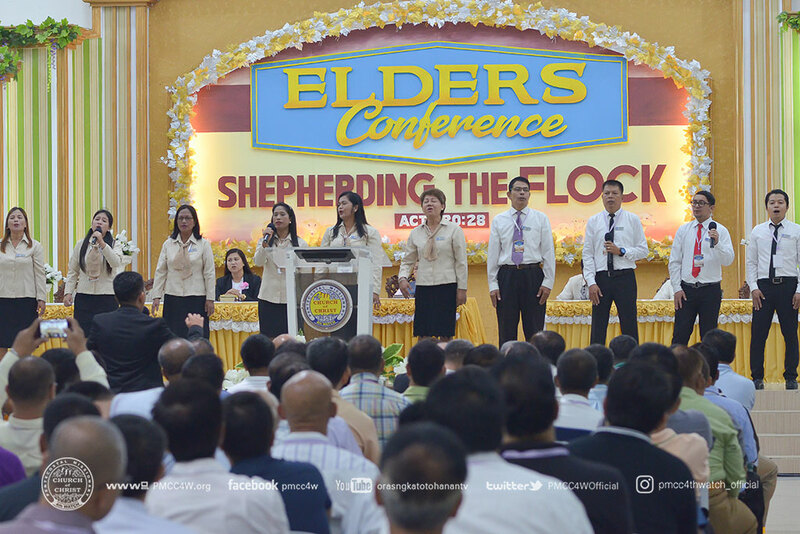 Another day concludes but the Spirit of the Lord continually dwells in the Conference. 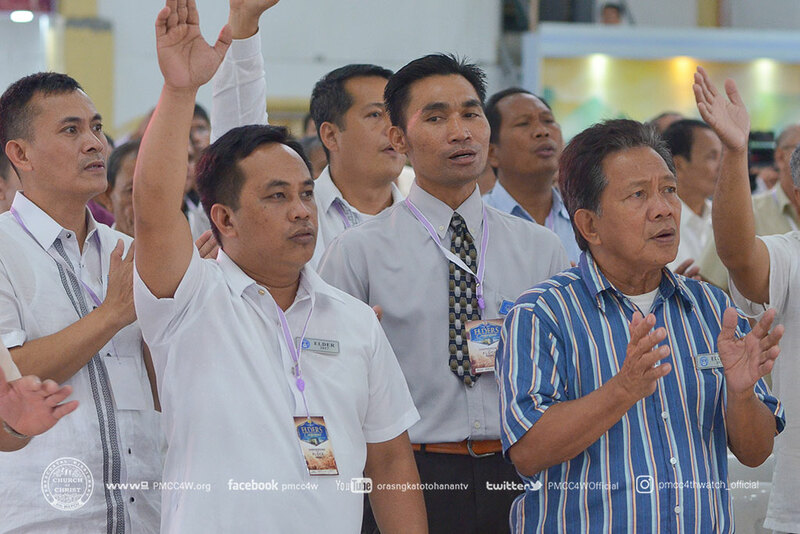 Entering Day 3, the brethren were still empowered and equipped. 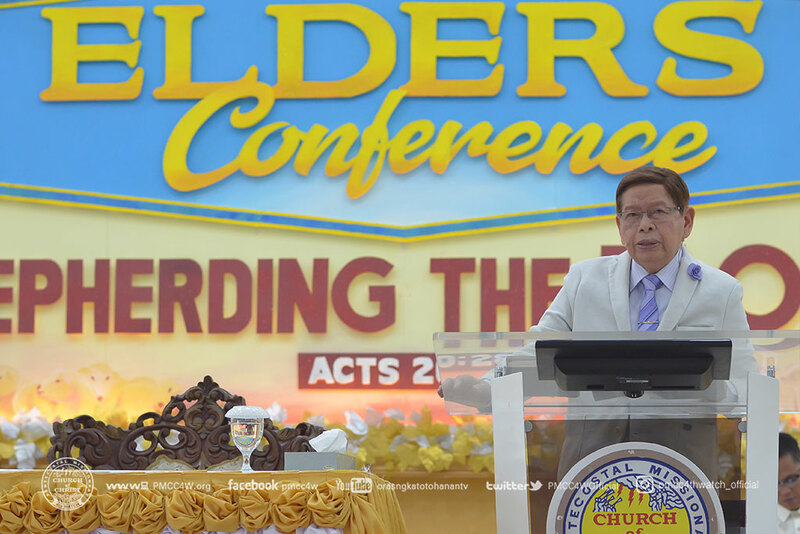 Presbyter Jun Marbida prepared the hearts of the elders as he spoke the Word of God before the early morning prayers. 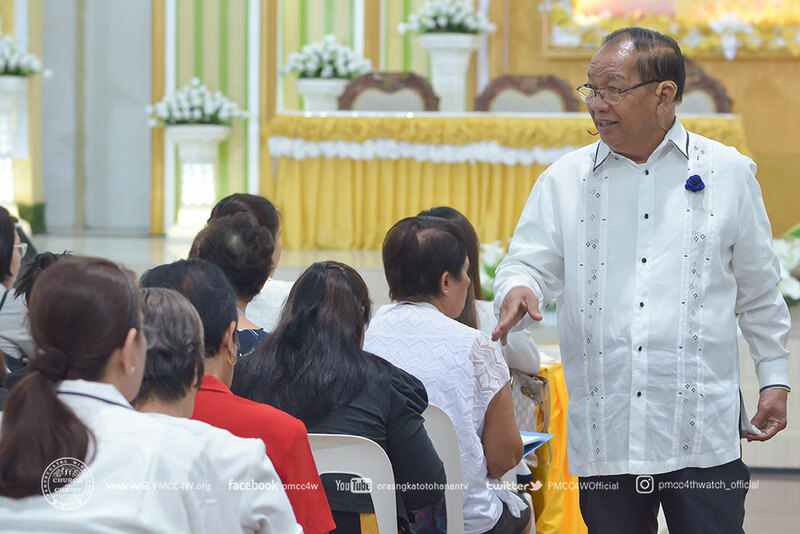 Thereafter, Bishop Resting Zonio, one of the church overseers, taught thoroughly during the 1st and 3rd seminar while Presbyter Jun Marbida fortified elders in the church that each should be effective in their office. 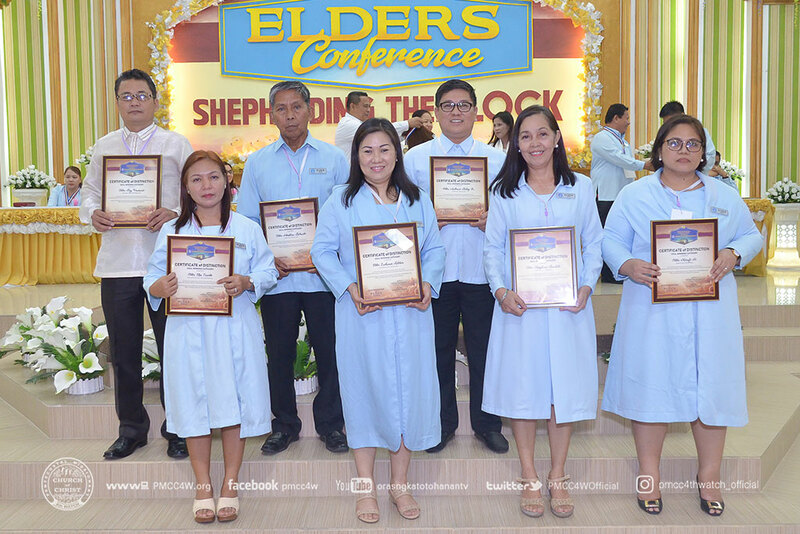 Dedication and Recognition Night for the last day of the conference but the Lord never failed to pour our His blessings to His church. 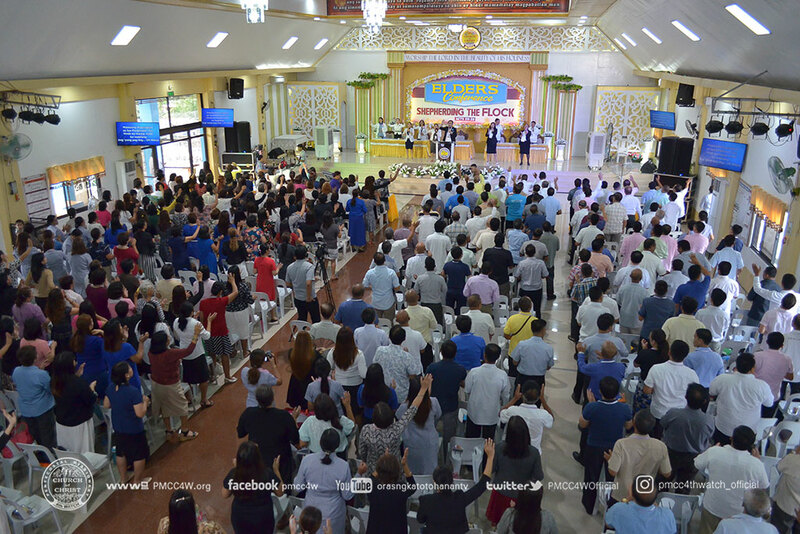 And so, the 3rd day ended with a triumphant service. 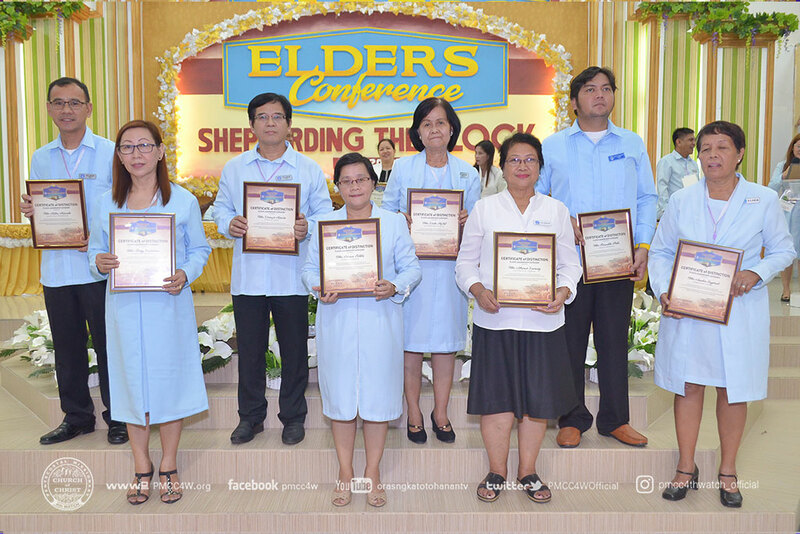 With these, Elders who achieved exemplary works of evangelism, soul winning and shepherding for this year recognized and awarded. 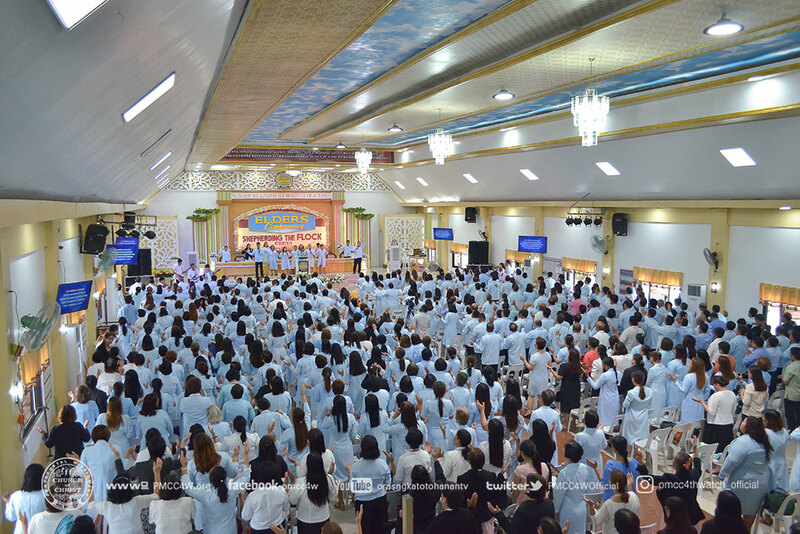 With the motivation from the Word of God, a three day full of spirit –filled service manifested by all. 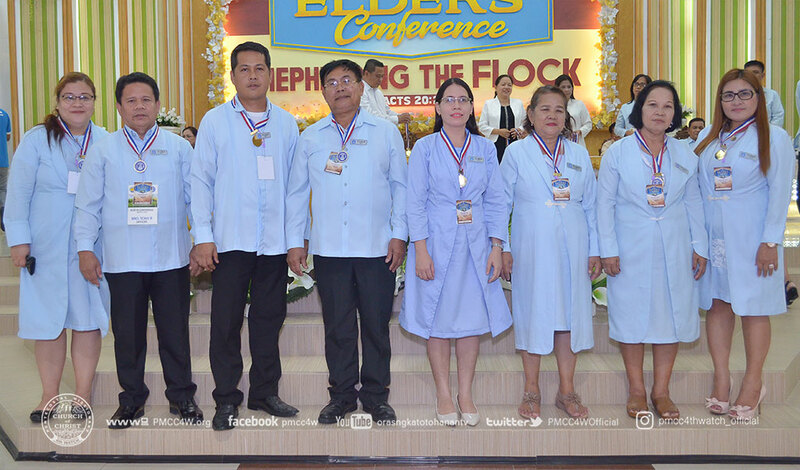 They were also strengthened and blessed with seal of dedication and service unto the Lord. 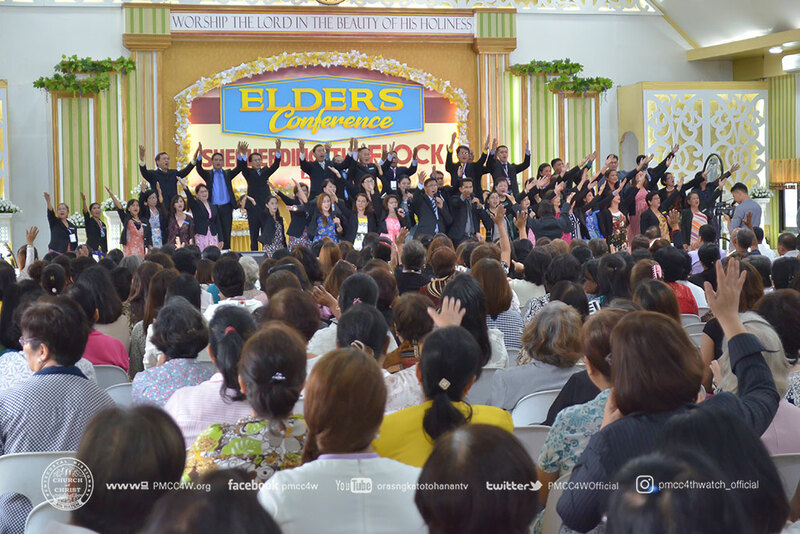 After the dedication service, everyone went home empowered and excited to achieve greater works for the Lord.